The new wave of consumer drones is here, in a smaller and more convenient way. Until now there has been nothing on the market that is convenient enough to carry around with you and take on holiday, without compromising image quality. We take a look at DJIs Mavic and the Go Pro Karma as well as the staple DJI Phantom to see who will be the king of the personal flying camera. Overall when you consider the portability, ease of use and features the DJI Mavic is the winner, but if you are already invested in the GoPro ecosystem the Karma is still a capable drone with some intuitive design features such as the removable gimbal that can be used on the ground. Read on for mode details. The chances are, if you have seen a photography drone, it has been a DJI. 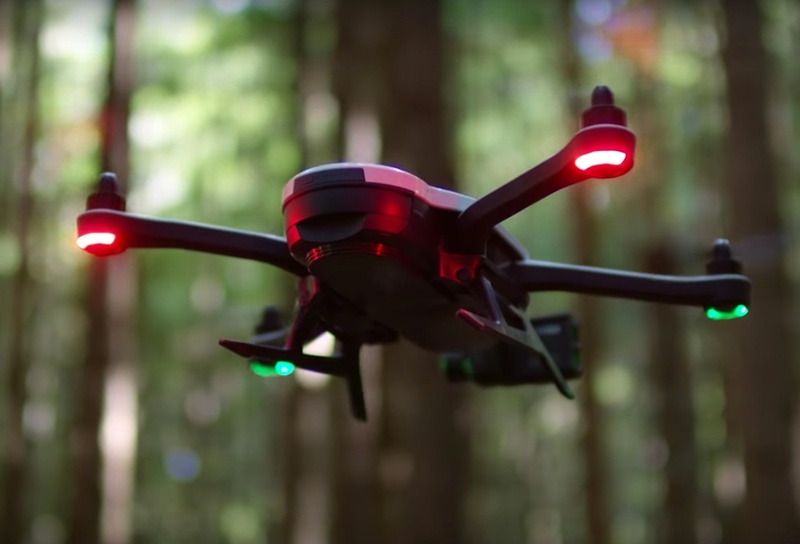 Their iconic phantom range changed the landscape of consumer aerial cameras as well as catering for the professional market with the Inspire range, and now they have introduced the new personal drone, the DJI Mavic. 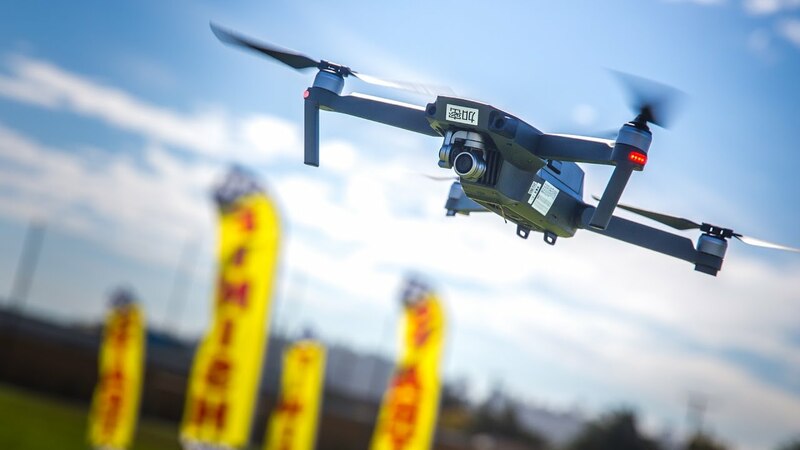 With a stabilized 4K camera, an impressive 27 minute flying time, a top speed of 64km(40mph) per hour, and a flying range of 7km (4.3 miles) the Mavic certainly does not compromise on quality. Many of the features of the Inspire and Phantom are also present in the much more portable Mavic, including 24 high performance computing cores, subject tracking and obstacle avoidance, but by far the most impressive element of the Mavic is it’s size. With fold-able arms and propellers, the Mavic can easily be transported, making it perfect to take anywhere. Other nifty features also include geo-fencing software, which prevents you from accidentally flying into any restricted zones as well as gesture recognition for the all important selfies. Whilst DJI have done an incredibly impressive job there are a few drawbacks. The Mavic Pro lacks the ability to detach it’s camera, which brings us to GoPros come back product, the GoPro Karma. 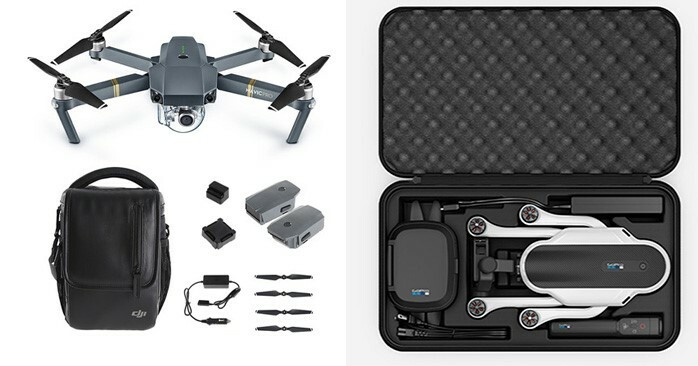 The Karma comes in a kit, including everything you need to get into the air, as well as a backpack for portability and the Karma grip, which allows you to detach the GoPro from the unit and use it as a handheld gimbal, something that is not possible with the Mavic. The karma can be purchased as either a stand alone if you already have a GoPro, or there will the option to purchase with a GoPro camera included. Another fantastic feature of the Karma, is its simple and easy to use “game like” controller, boasting that beginners will have no trouble controlling the drone, whilst advanced fliers will enjoy the features ease of use. The karma can reach speeds of 56km(35mph) and has a range of 3km(1.8miles) and a stated battery life of 20mins. Any good drone comparison would not be complete with the DJI Phantom, a product that as maintained a majority of the market until now. The impressive drone is in its 4th installment with the Phantom 4, a zippy flight speed of 71km (44.7 mph) and a range of 5km (3.1miles)combined with 4k camera and 12.4mp stills, super easy to use flight modes and an almost fail proof return to home function its not hard to see why the Phantom has made its place in Drone piloting and aerial photography. Mavic Pro – £999 from DJI directly, or Amazon. You can get the Mavic cheaper without the remote (£750), but it is fairly pointless as you will only get about 80m of range in open areas via WiFi. Karma – from £719 without a GoPro, or £1000 with GoPro’s new Hero5 Black, which is available to pre order. Winner: Mavic If you were already set up with a GoPro, the cheapest option would be the Karma, otherwise the Mavic takes the prize on affordability. 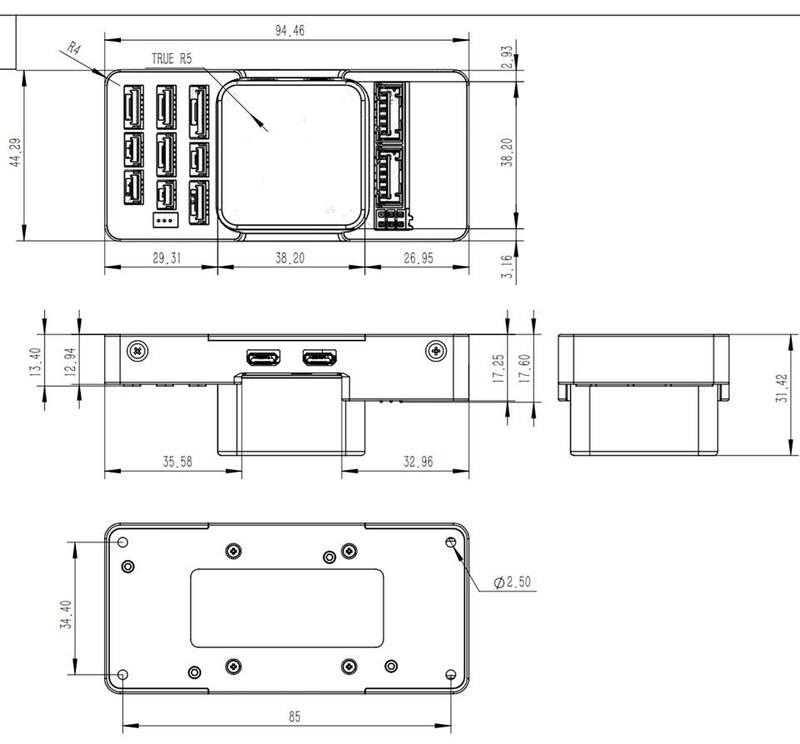 Phantom 4: 1380g and measure 381 x 220 x 325mm. Karma: 1,006g and measures 117 x 224.3 x 365.2mm. Mavic: 734g and measures 83 x 83 x 198mm when folded. 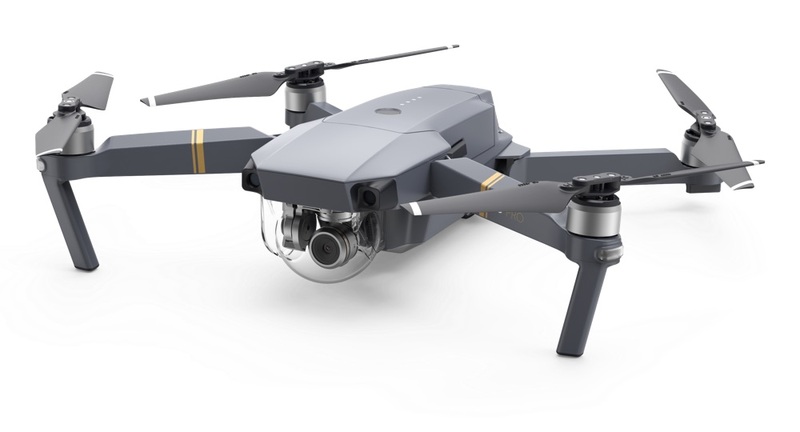 Winner: Mavic With convenience being the direction in which consumer drones are headed, the Mavic is the obvious option in this category, able to be almost pocket size, and carried around in everyday situations to capture spontaneous photos and video. Karma has a flight speed of 56km (35mph) and has a range of 3km (1.8miles). The Mavic has a top speed of 64km(40mph) per hour, and a flying range of 7km (4.3 miles). 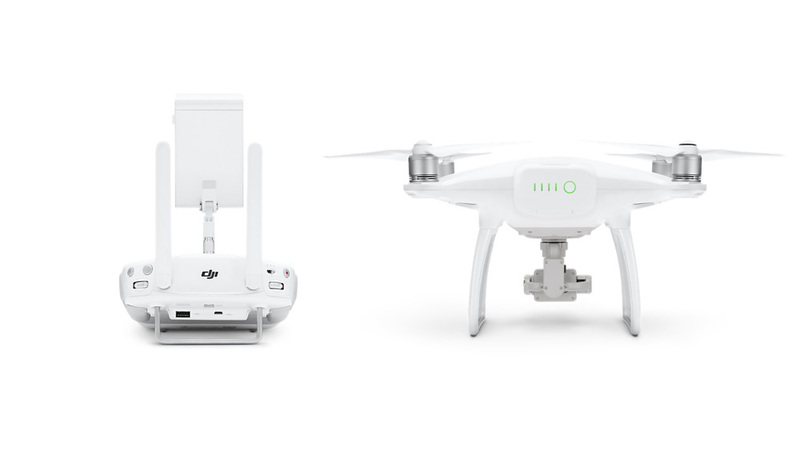 The DJI Phantom 4 has a flight speed of 71km (44.7 mph) and a range of 5km (3.1miles). 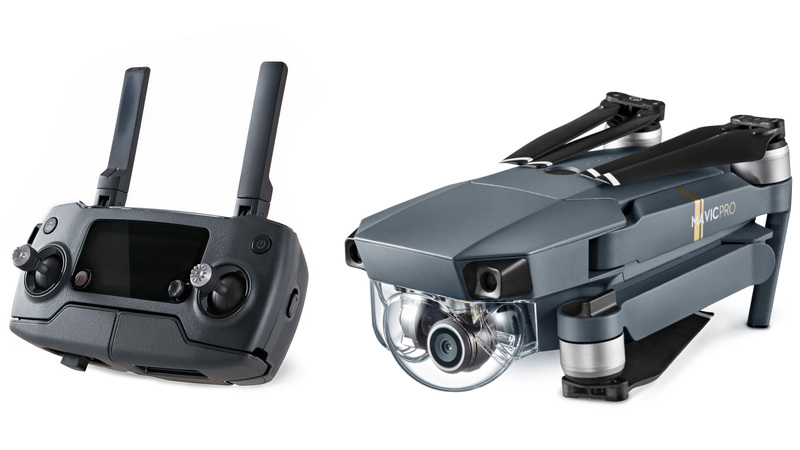 Winner: Mavic DJI take this category out, again neck and neck, whilst the phantom has a slightly higher top speed, the new Mavic has a 2km further range to explore your surroundings. Karma falls well short with a 20 minute flight time. Winner: Phantom 4 Phantom 4 tops the pack by one minute, although the Mavic is ever so close behind. Also remember that these flight times are under ideal lab situations so probably in real life you will get abit less. The Phantom boasts return to home, GPS and obstacle avoidance technology. The app lets you connect your smart phone to the control and fly with ease even as a beginner, all of these features have also been passed onto the Mavic, although you can also choose to fly the Mavic with your smart phone alone. There are plenty of flight modes with both DJIs. 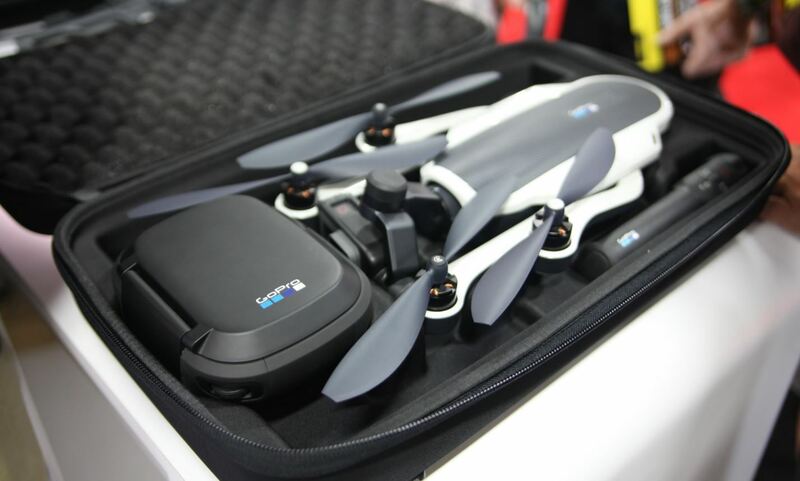 The GoPro Karma is controlled through a dedicated remote, and offers flight features such as point to point flight and a feature to let others watch your flight live on a smartphone, however lacks features like obstacle avoidance and tracking. The stand out feature of the Karma is the compatible hand held gimbal that comes with it. Winner: Mavic Whilst the removable hand held gimbal of the karma is a very intuitive feature, overall the convenience and features of the DJI Mavic, in particular its built in obstacle avoidance and impressive flight range, make this our winner. The Phantom, the Mavic and the GoPro Hero5 Black all have pretty similar specs when it comes down to arguably the most important feature, the camera. They all use 1/2.3-inch, 12-megapixel CMOS sensors, all three are capable of shooting JPEG and RAW as well as 4k Video. 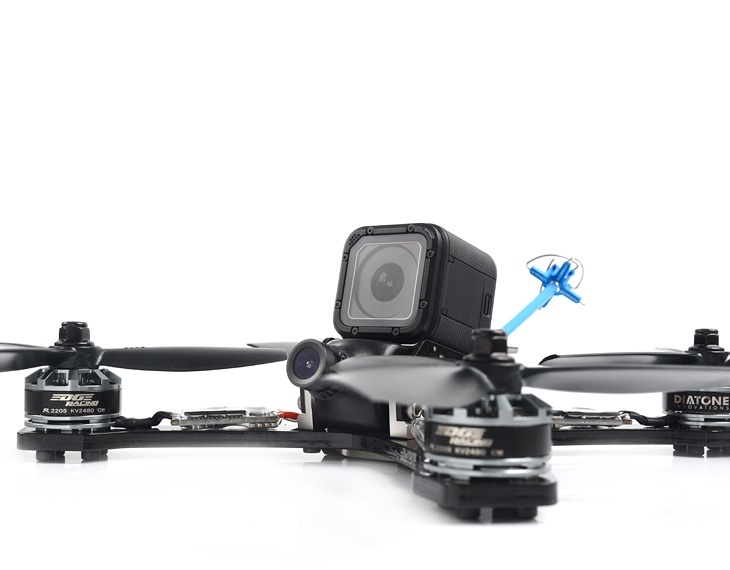 The difference in the camera is the FOV(Feild of View), with the Mavic having an equivalent field of view of 28°, the Phantom with a 20° and the GoPro Hero5 with the distinguished GoPro “Fish Eye” look, SuferView. Winner: Phantom 4, Mavic In my opinion, the optically true rectilinear image that you get on the DJIs surpasses that in quality of the GoPro, although that is preference in style. The Phantom side to side with the Mavic will look more stable and crisp due to the larger FOV, and therefore wins this round. Whilst the phantom slightly outdoes the Mavic in image quality and and speed, the convenience of the newcomers is unparalleled. Our recommendation for any budding ariel photographer, first time drone pilot or anyone just looking for a cool new “toy” would be the DJI Mavic. We will give a special mention to an extremely good effort by GoPro, the Karma, which is not a bad drone at all, appears to be just undercut by DJI in almost every aspect, although we are excited to see where GoPro take the product next.